PARLIAMENT – Information from the highly anticipated meeting between top leadership at Parliament and Forum for Democratic Change (FDC), shows that both parties have agreed to leave the current leadership of the Committee of Commissions, Statutory Authorities and State Enterprises (COSASE) to complete investigations into closure of seven defunct Banks by the Central Bank. The meeting that took place today in Speaker’s boardroom at Parliament follows a stream of verbal exchanges between the two camps that had all agreed that COSASE Chairperson, Abdu Katuntu and his deputy, Anita Among to complete the probe but a dark cloud still hung on what happened to incoming leaders, Mubarak Munyagwa and Moses Kasibante as incoming Chairperson and Vice Chairperson of COSASE respectively. While addressing journalists on Tuesday, Leader of Opposition, Betty Aol revealed that the two sides had come to an agreement and the meeting scheduled between COSASE and former owners of closed banks was to go ahead, which hinted at the fact that Katuntu was to continue with the probe. However, Aol remained tight-lipped on details of the meeting asking journalists to wait until tomorrow afternoon when Speaker, Rebecca Kadaga would make the official announcement. “I will implore you to wait for tomorrow. You will get that option which will take care of our interests as Opposition and will take care of the institution of Parliament. You know COSASE is our Committee, it is a Committee which is headed by the Opposition, so we don’t want to water down anything, we explored many options and came out with one and we agreed it is the Speaker who will make the pronouncement on it in plenary,” AOL said. The meeting was attended by Wilfred Niwagaba who acted as Deputy Whip, Speaker Rebecca Kadaga, her deputy, Deputy Speaker Jacob Oulanyah and LOP herself. 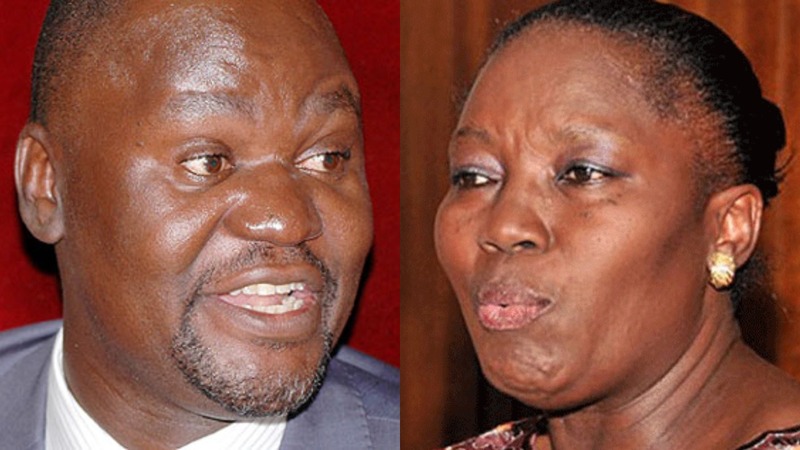 Sources well placed with discussions of the meeting showed that the two sides agreed to have the Katuntu team, whose tenure had elapsed over the weekend carry on the Bank of Uganda probe until the 15th February as opposed to the 20th February 2019 that had been earlier announced late last year by the Speaker.